Harness the Future. Accelerate Growth. Get Started with this White Paper. Transform IT from a cost center to an innovation driver. 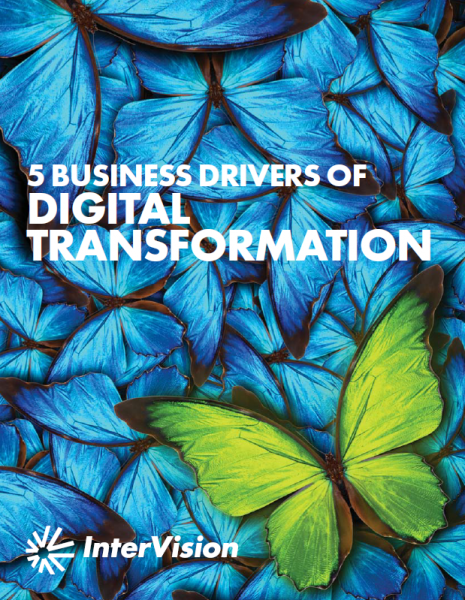 With actionable insights across people, process and technology in 5 key areas that drive success, begin your Digital Transformation journey here. InterVision is committed to protecting and respecting your privacy, and we’ll only use your personal information to administer your account and to provide the products and services you requested from us. In order to provide you the content requested, we need to store and process your personal data.